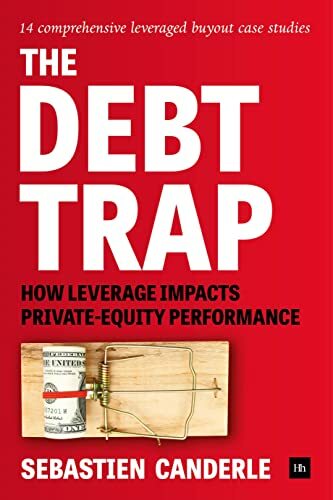 [PDF] The Debt Trap: How leverage impacts private-equity performance | Free eBooks Download - EBOOKEE! Description: This is the inside story of private equity dealmaking. Over the last 40 years, LBO fund managers have demonstrated that they are good at making money for themselves and their investors. But when one looks beneath the surface of the transactions they engineer, it is apparent that these deals can, at times, go spectacularly wrong. Through 14 business stories, all emanating from the noughties' credit bubble and including headline-grabbing names like Caesars, Debenhams, EMI, Hertz, Seat Pagine Gialle and TXU, The Debt Trap shows how, via controversial practices like quick flips, repeat dividend recaps, heavy cost-cutting and asset-stripping, leveraged buyouts changed, for better or for worse, the way private companies are financed and managed today. From technological disruption in the worlds of music recording and business-directory publishing to economic turbulence in the gambling, real estate and energy sectors, highly levered corporations are often incapable of handling market corrections when debt commitments start piling up. Behind the historical events and the financial empires erected by some of the elite private equity specialists, these 14 in-depth case studies examine how value-maximising techniques and a short-cut mentality can impact investment returns and portfolio assets. Whether you are a PE practitioner, investor, business manager, academic or business student, you will find The Debt Trap to be an authoritative and fascinating account. No comments for "[PDF] The Debt Trap: How leverage impacts private-equity performance".